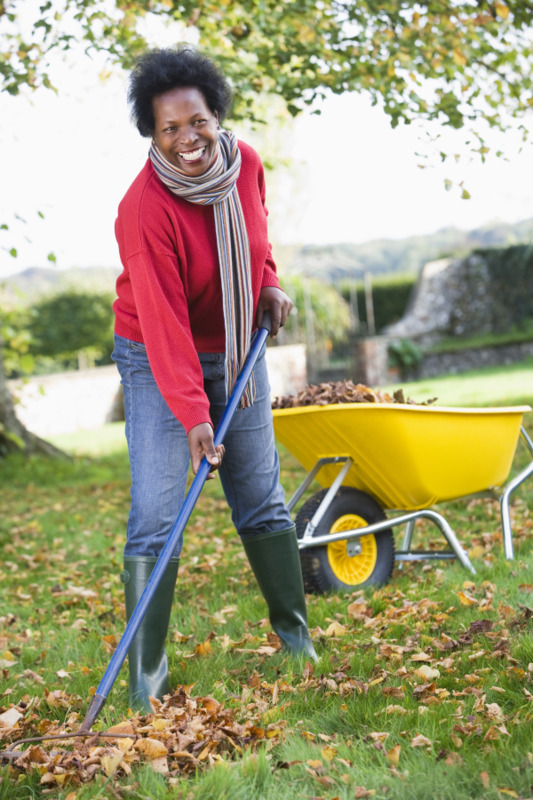 Many people who are inactive find the task of yard work exhausting and draining. The simple act of pulling weeds can leave them feeling achy and sore the next day. Yard work doesn’t have to be backbreaking. When your muscles are ready for all of the pushing and pulling required by your lawn, the time spent outside can be a nice distraction from busy life. There are several fun tools around your corporate fitness center that can help you prepare for your final few months of yard work this fall. Try this mini circuit and share with us the tips and tools you use to stay fit for yard work. Place hands a mid-height position on the sled. Keep your spine neutral and drive with your legs as you push the sled. Face the tire with an appropriate weight of sledgehammer. Place one hand toward the head of the sledgehammer and the other hand near the bottom of the handle. In a controlled manner, swing the sledgehammer over the shoulder of the hand that is near the head. As it comes over your shoulder toward the tire, bend your legs and let your top hand slide down to meet your bottom hand. Grab near the head of the sledgehammer and repeat. Wrap a monster rope around a stable post with one end of the rope near the post and other laid out away from the post. Near the post, align yourself in a plank position. Keeping your hips level, reach out with one arm and pull the short end of the rope. Do this until the other end reaches the post. Rest for 30 seconds and switch arms. Holding onto the head of a dumbbell, position your arms straight out in front of you at shoulder height. Staying on your heels, squat down and place the dumbbell on the top of a box that is approximately knee high. Stand up, focusing on keeping your core engaged and upper body upright. Squat back down, grab the dumbbell, and stand up in the same manner. Worksite Fitness: More Muscle, Less Type 2 Diabetes! Here’s some fuel to help you crank out one more repetition, finish an extra pushup, and hold that plank just a little bit longer. Along with all of its other wonderful benefits, strength training can help prevent type 2 diabetes. This should be of interest to a significant part of the population, as millions of Americans suffer from type 2 diabetes and pre-diabetes, with many more at risk due to obesity, existing health conditions, family history, and lifestyle choices. Type 2 diabetes is characterized by a lack of insulin produced by the body or an inability of the body to properly use insulin. Weight training’s contribution to a reduction in risk for type 2 diabetes is supported by findings from the National Health and Nutrition Examination Survey that the higher the proportion of an individual’s weight is muscle mass, the more sensitive the body will be to insulin. Muscle mass is efficient at handling glucose and keeping blood sugar levels steady. This information tells us how important it is to keep body fat levels within a healthy range and that simply looking at body weight can be deceiving (ideally, you’d rather be both slim and fit, but being overweight and somewhat fit can still protect you more effectively from risk than if you are overweight and unfit). Don’t know what your body fat is? Check with your local gym to see if they offer body fat testing (hint: NIFS and many of its worksite fitness sites do!). Some scales and other fitness tools will also measure body fat, but may have more of a margin of error. In addition to your favorite forms of cardio, be sure to pump some iron, working all major muscle groups two to three times per week (as recommended by the American College of Sports Medicine). Obviously, prevention of type 2 diabetes is most desirable, but individuals with the condition can still benefit from a consistent strength training routine because it will help them make the most of the insulin that is produced. And, you’ll reap all those other good things that strength training does toward helping you achieve a leaner, healthier, happier body! The American College of Sports Medicine (ACSM) has issued new guidelines for the Quantity and Quality of Exercise for Developing and Maintaining Cardiorespiratory, Musculoskeletal, and Neuromotor Fitness in Apparently Healthy Adults. What exactly does this mean? Simply put, it means that fitness professionals now have a new framework to use when developing exercise programs. If you think of exercise as medicine (which, in fact, it is! ), personal trainers and corporate fitness centers are now using new guidelines for prescriptions of this miracle drug (including dosage and use). Cardiorespiratory fitness is developed through training that improves the efficiency of the aerobic energy-producing systems and can improve cardiorespiratory endurance. The ACSM recommends apparently healthy individuals to partake in at least 30 minutes of moderate-intensity exercise five days per week or 20 minutes of vigorous-intensity exercise three days per week. This can be achieved by one continuous session per day, or multiple shorter sessions of at least 10 minutes in duration. Musculoskeletal fitness is developed through resistance/strength training. To have musculoskeletal fitness, you do not necessarily have to have great muscle strength. You should, however, train all major muscle groups 2 to 3 days per week, using 2 to 4 sets and 8 to 20 repetitions as the range for each exercise. A regimen including 8 to 12 different exercises should serve to exercise all major muscles in the body. Neuromotor fitness is “functional fitness,” and can be improved through a variety of balance, agility, coordination, and proprioception exercises (think yoga and Pilates). The ACSM recommends these exercises be incorporated into an exercise program 2 to 3 days per week for 20 to 30 minutes per session. In addition to these recommendations, the ACSM also suggests that healthy adults participate in flexibility training at least 2 to 3 days a week. Similar to strength training, a flexibility routine should target all major muscle groups. Each stretch should be held 10 to 30 seconds (to the point of slight discomfort, but not pain) and should be repeated 2 to 4 times so that each muscle group is stretched for a total of 60 seconds. 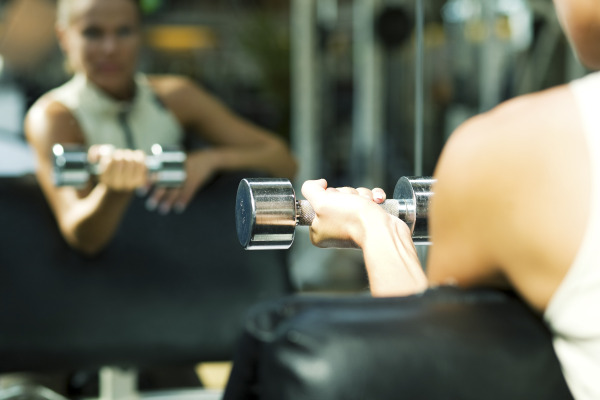 Considering these guidelines, how would you rate your current fitness routine? If you are meeting the minimum requirements, keep up the great work! If not, remember that all of these requirements do not have to be met in one single exercise session. If you have an onsite fitness center, make sure you are taking advantage of all that your wellness center staff can offer you! Although it’s hardly what you would call a wholesome meal, the McDonald’s Happy Meal has taken a small step in a more nutritious direction with the addition of apple slices. 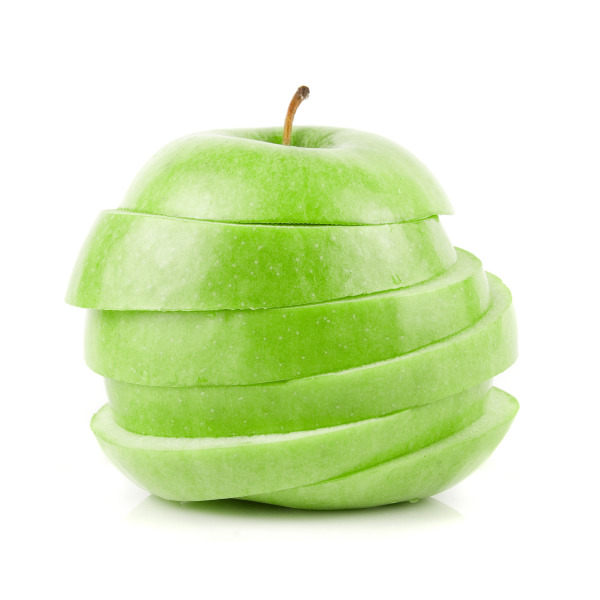 Apples have previously been an option in the past in place of French fries, but kids will now automatically find a small portion of apple slices paired with a smaller serving of fries in place of the traditional serving of fries. With the added option of skim milk, there is potential for about a 20 percent reduction in calorie content as compared to the traditional Happy Meal. For fry lovers, special requests for the traditional serving of fries in place of the apple slices will be honored (and vice versa; a double serving of apples is also available). What Are the Motives Behind This Nutritional Improvement? Potential arguments explaining why McDonald’s has implemented this change include pressure from the government to combat childhood obesity, a marketing strategy, or even a sincere interest of the company in promoting healthier options. There are a couple of perspectives to take on the change; on a positive note, regardless of the underlying intentions, the new meal should have at least a small, positive impact on kids by marginally increasing their consumption of fruit in lieu of a sodium-rich, processed alternative. It may help reinforce the fact that fruit is an important part of every meal; however, this must go hand-in-hand with sound nutritional habits and lessons taught by parents at home. Happy Meals can be enjoyed in moderation as a treat for kids who enjoy them. Sizing up the new Happy Meal in a more negative light, it is clear that the combination of breaded chicken nuggets or a hamburger on a white bun, French fries, apples (only a half-serving’s worth), and soda has a lot of ground to make up in regard to the new MyPlate recommendations. These guidelines present an ideal meal as a plate half full of fruits and vegetables (preferably fresh and unprocessed), a lean protein source, a grain (preferably whole), and a lean dairy item. Some may wonder how much a change like this would really impact kids’ health and help combat larger issues such as childhood obesity. The unfortunate fact remains that if a child is being raised in an environment where fast food is a staple, there’s a good chance they’re forming bad habits and attitudes about nutrition that could set them up for health problems down the road. There are many more far-reaching issues affecting the health of American kids than the act of replacing a few French fries with apples. All in all, this slight nutritional makeover of the Happy Meal certainly won’t hurt, but can spur a great deal of discussion. What are your opinions of McDonalds' actions? For many years statements like “a calorie is a calorie” and “everything in moderation” were uttered by many health professionals to explain that in regard to weight loss, controlling total calories consumed is the most important factor. That is to say, it does not matter what you eat; whether it be a salad or a fried chicken leg, as long as your total calories remain below a certain number, you will lose unwanted pounds. Research now suggests that this is not necessarily true. All calories are not equal, and the source of calories does much to help or hinder our weight loss efforts. Data from a study that surveyed 122,000 men and women for 20 years found that more significant weight gain was linked to the consumption of potatoes (chips, baked, fried, or mashed), sugar-containing soft drinks, butter, refined grains, desserts, processed red meats, and fruit juices. 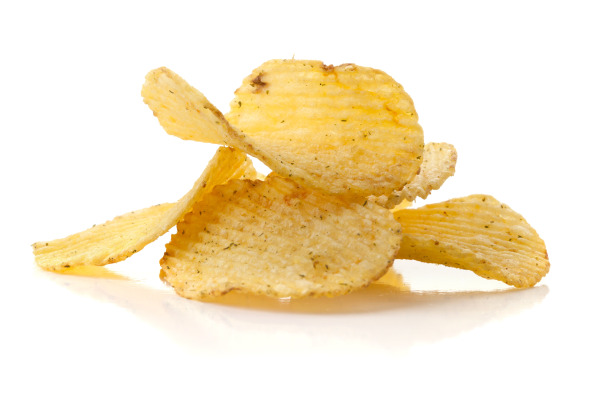 In fact “a single-serving bag of potato chips added to one’s daily intake tacked on 1.69 pounds over 4 years.” Additionally, the study participants who experienced weight loss reportedly ate more yogurt, fruit, nuts, whole grains, and vegetables. The reason for this is simple...the body uses more energy to break down nutrient dense foods than it does to metabolize processed items. It is becoming more and more apparent that what we eat is just as important as how much we eat. What can you do to help your employees make the most nutritious food choices? Adding healthy vending options and cafeteria discounts on fresh fruits and vegetables is one option. Implementing a well-rounded workplace wellness program can be a great resource for educating your employees about making the best choices when it comes to mealtime and incorporating exercise for weight loss and preventing weight gain. As soon as the fall season hits, flu shots are all the buzz. Pharmacies across the nation start advertising the vaccine and we start to provide cold and flu information in our corporate wellness centers. This year, you may want to start your planning earlier. Not only is it important for your corporate wellness clients to get the vaccine; you should get one for yourself, too. Both health care providers and pharmaceutical companies have stressed getting your flu shot earlier this year. Already, the vaccine is available at many local pharmacies and doctors' offices, and some have begun to offer it all year round. If you have an Occupational Health clinic at your worksite, check to see whether they offer the vaccine and how soon it will be available. Additionally, ask what versions of the flu shot are available at the site you choose. Vaccine manufacturers have promised a larger supply of the flu shot in both child and senior citizen doses for the 2011–2012 season. These populations may need slightly different amounts of the vaccine. 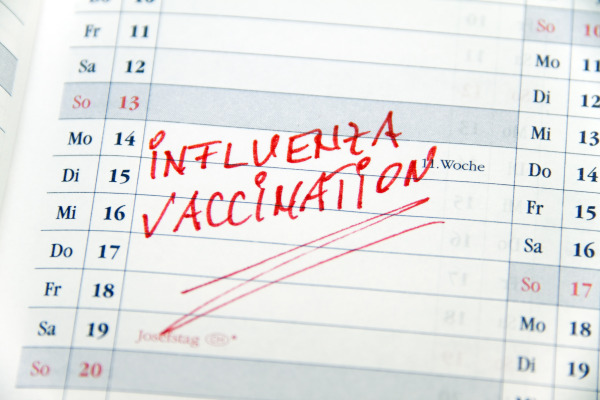 Beyond getting a flu shot, what can be done to ensure that you and your clients stay bug-free? Since most of us spend the majority of our day at the workplace, tell clients to be sure the space around them stays clean. They should keep an alcohol-based hand sanitizer and antibacterial wipes handy. In corporate fitness centers, be sure that members are instructed to clean their equipment before and after use. Think about taping small reminders onto each piece of equipment and leaving out a larger, more visible supply of cleaning products throughout the fitness center. Lastly, wash your hands! Be sure to get under fingernails, between fingers and wrists, and avoid touching faucets, paper towel dispensers, or bathroom door handles after you’ve cleaned your hands. Instead of spreading germs this year, teach your corporate wellness clients to spread healthy habits! 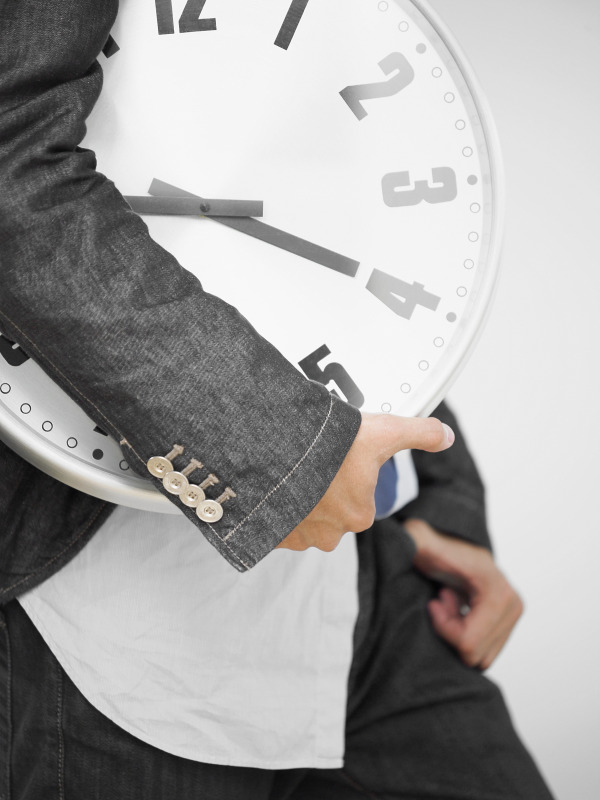 Shift work is anything outside of the normal 8am to 5pm workday. Millions of Americans perform shift work. If you are a shift worker, your health could be in jeopardy. Working nights or inconsistent shifts affects your sleep pattern. And, when you are tired or stressed you tend to eat poorly. Being overweight can lead to a lot of other health issues including depression, diabetes, and high blood pressure. Even most corporate fitness centers open early in the morning, so the personal trainers/wellness staff are not always on a good sleep pattern, either. Working in a corporate fitness center myself, I have some early mornings. When my sleep pattern isn’t consistent I tend to be more tired, have less energy, and make poor food choices. If you are one of the millions of shift workers, try to take naps less than an hour in length to catch up on some rest. Buy fresh vegetables and fruits to have some healthy snacks on hand at home and at work. Visit your onsite fitness center to relive some stress and help yourself wake up on breaks. We all have to make a conscious effort to get more rest and make the healthy choice. 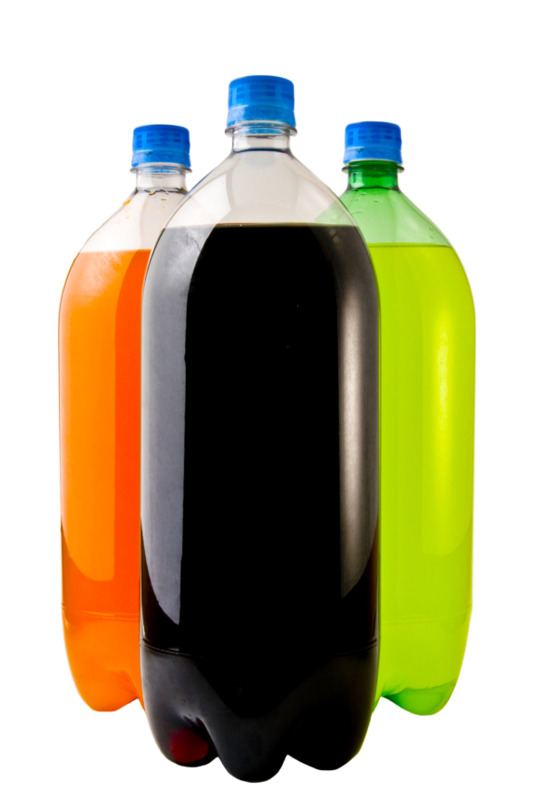 In 2010, the average American consumed over 44 gallons of carbonated soft drinks! While this number does include diet beverages, it does not take into account the number of non-carbonated, sugared soft drinks (such as lemonade, iced tea, juice, sports drinks, etc. ), which tally up to about 17 gallons per person per year! A single, 20-ounce bottle of regular soda contains about 250 calories and 17 teaspoons of sugar (70.9 grams). An 8-ounce serving of apple juice contains about 120 calories and more than 6 teaspoons of sugar (26 grams). A 32-ounce sports drink contains 200 calories and nearly 14 teaspoons of sugar (56 grams). A 12-ounce glass of sweet iced tea contains 130 calories and more than 8 teaspoons of sugar (35 grams). A 12-ounce glass of lemonade contains 150 calories and almost 10 teaspoons of sugar (40 grams). For those keeping track, these numbers show that the average non-diet soda contains about 12.5 calories and .85 teaspoons of sugar per ounce, while an average non-diet, non-carbonated soft drink contains about 9 calories and .6 teaspoons of sugar per ounce. This means that if the average American did not consume diet beverages in the figures above, he or she would have consumed roughly 70,400 calories and 4,787 teaspoons of sugar from carbonated beverages AND 19,584 calories and 1,306 teaspoons of sugar from non-carbonated beverages. That’s a total of 89,984 calories and 6,093 teaspoons of sugar! Do you see yourself in these numbers? Are you trying to lose weight? If so, think about this: If you were to ditch your sugar and calorie-laden drinks for water—and make absolutely no other changes to your diet or physical activity level—you could lose up to 26 pounds in a year. Yup, that’s right, 26 pounds.